Several weeks ago I redecorated LilMan's bedroom and created this shadow box filled with treasures that he had found over the last several years. 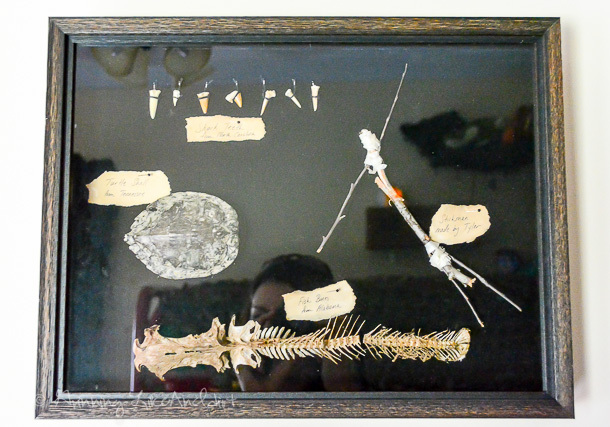 These little treasures made for a really cool addition to his bedroom them of "Adventure/Explorer". :). I wanted to make the paper look old like some of the bones and dyed the paper and I realized, most people don't know this trick. 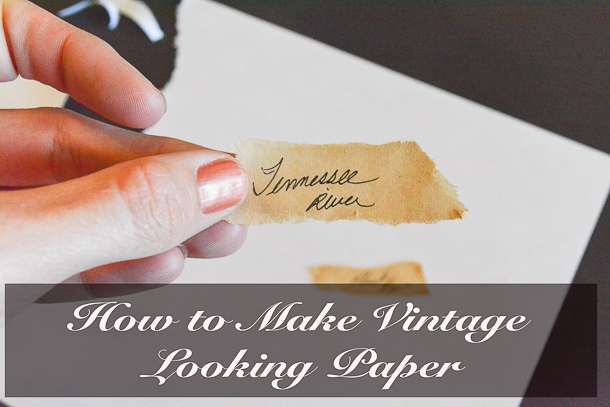 If you ever have a need to dye paper for a vintage look, you have to Pin this for future use! Note: I know there is another way with a tea bag and I can tell you, I tried the tea bag method and it does not work near as well as using Soy Sauce. Using Soy Sauce to dye paper is far faster and has better results!